In Lightroom, while working and playing with the presets, you will encounter new styles that can then be saved to the DVLOP User Mix folder for future use. To save custom presets, simply scroll to the top of the Lightroom "Presets" panel and click on the "+" button. You will be prompted to enter the new preset name. Your saved custom preset will appear in the "DVLOP - USER MIX" folder, not the "User Presets" folder. (1) In the top menu bar of Lightroom, go to "Lightroom" -> "Preferences" and then click on "Show Lightroom Presets Folder ..."
This will open your Lightroom folder. (2) From your Lightroom folder, navigate to your "DVLOP - USER MIX" folder. This is typically done in the following progression: "Lightroom" -> "Develop Presets" -> "DVLOP - USER MIX"
(3) With the "DVLOP - USER MIX" folder highlighted, get info on it by going to "File" -> "Get Info" (or Command + i). 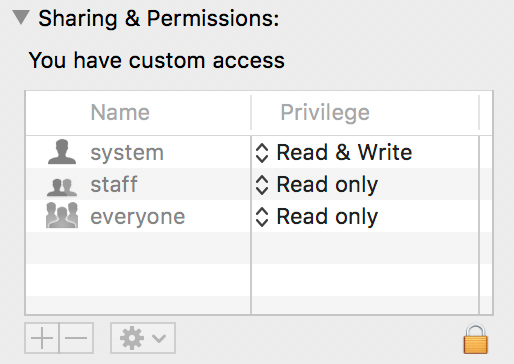 (4) At the bottom of the window that opens up, you will see the folder's "Sharing & Permissions." 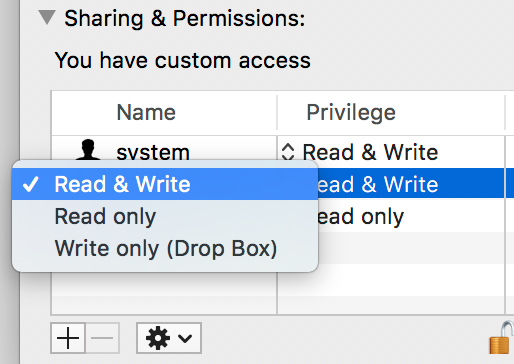 Change the permissions to "Read & Write" by unlocking (click on the lock icon on the bottom right) and then changing the privilege in the drop-down menu.